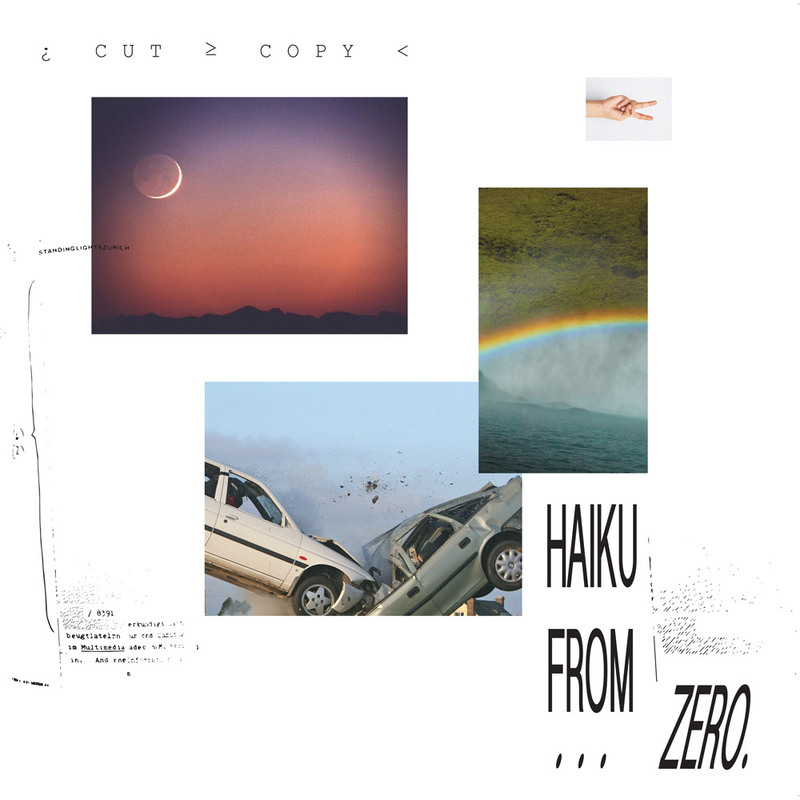 Our new album Haiku From Zero (and the artwork I generated for it) is inspired by this endless array of information and images that we’re surrounded by on a daily basis, particularly the randomness of online images and GIFs. They can be absurd, poignant, humorous, frightening, banal, confusing, refined, throwaway, all at the same time. The experience site takes elements and outtakes from the album artwork and assembles them into a little world to navigate through. You can click through to hear snippets of different songs, and it includes commentary by each of the band members on each track for those that want to know a little more about how we made the album.